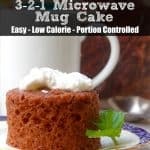 Home » Weight Watchers Recipes » How Skipping Breakfast Can Help You Lose Weight! 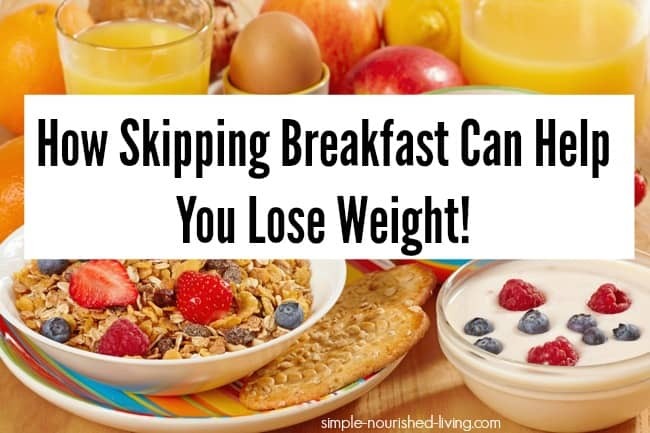 How Skipping Breakfast Can Help You Lose Weight! As someone who has spent decades following the dietary mandate to always begin the day with breakfast, skipping it is a very big deal. I’m a creature of habit and a “good girl” who tends to do what she is told. I’ve been lectured on the importance of breakfast since I was a kid and had it reinforced as a lifetime Weight Watcher. For the past several months I’ve been playing around with intermittent fasting (IF). Have you heard of it? Instead of focusing on “what to eat,” intermittent fasting (IF) focuses on “when to eat.” So, it’s really more of an an “eating pattern” than “diet” plan. Many studies show that fasting can have powerful effects on your body and brain, and may even help you live longer. For example, here’s a Washington Post article on the link between fasting and breast cancer recurrence that really got my attention. My brother, Peter, was the first one to bring IF to my attention when he experimented with doing daily 16 hour fasts a few times a week. As he explained the concept to me I realized that my husband, Rod, is a natural intermittent faster, regularly skipping breakfast and lunch several times a week with no ill effects. It’s how he has been managing his weight for years. Then I came across this article about Eat Stop Eat and I was hooked. So, I bought the ebook and signed up for Brad’s informative newsletter that arrives in my inbox 3 times a week. And, I’m experimenting with intermittent fasting by extending the periods of time I go without food. Because we eat dinner pretty late, a few times a week I skip breakfast, only having coffee and water and try to make lunch as late as I can. After years of following Weight Watchers, counting and tracking, and other more traditional forms of calorie restriction, I like the idea of having a little more freedom around what I eat in exchange for limiting when I eat. It’s a trade-off I’m willing to make. And I’m excited about the health benefits of intermittent fasting beyond weight loss. 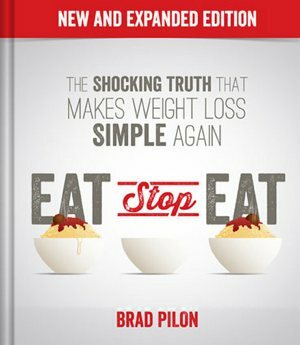 I continue to read/study Eat Stop Eat and devour Brad Pilon’s “The Advocate” newsletter articles. So far it’s working for me: October 7, 2016 weigh in – 1.8 pounds, September I was down 1.8 too. I now weigh ten pounds less than the goal set when I was 28 and feel great. At 53, this seems like a miracle! Intermittent fasting or scheduled eating is gaining popularity for good reason: In addition to helping you lose weight it can reduce your risk of chronic diseases like diabetes and heart disease. It basically involves timing your meals in a way that allows for regular periods of not-eating. 16:8 fasting: This is a form of “everyday fasting” that involves skipping breakfast and restricting your daily eating period to 8 hours. For example eating only from noon to 8:00 pm each day. Eat Stop Eat: This involves fasting for 20 to 24 hours, once or twice a week, for example by not eating from dinner one day until dinner the next day. The 5:2 Diet: On two non-consecutive days of the week, only eat 500-600 calories. Eat normally the other 5 days. 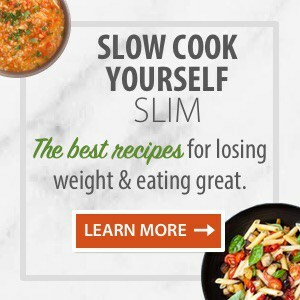 By helping you consume fewer calories, all of these approaches should lead to weight loss as long as you don’t compensate by over-eating when you do. The key is to experiment and find an approach that works best for you. Eating healthy is simple in theory, but it can be incredibly hard to stick to in reality. One of the main obstacles is all the work required to plan for and cook healthy meals. With intermittent fasting you need to plan, cook and clean up after fewer meals, saving time and money. As I get older, I need to eat less to maintain my weight. Skipping a few meals a week is easier for me than trying to constantly shrink my portions or completely eliminate certain foods from my diet. I’m no longer AFRAID OF BEING HUNGRY. I’ve learned that being a little hungry isn’t life-threatening. While fasting my hunger ebbs and flows and is completely manageable. I’m satisfied with less food now when I do eat than I used to be. Maybe my stomach has shrunk or become more sensitive, but I feel more content with less. Intermittent Fasting has helped me with self-restraint and eating is more fun because I can eat whatever I want within reason. Intermittent Fasting (IF) seems so much more natural than other forms of calorie restriction I’ve tried. 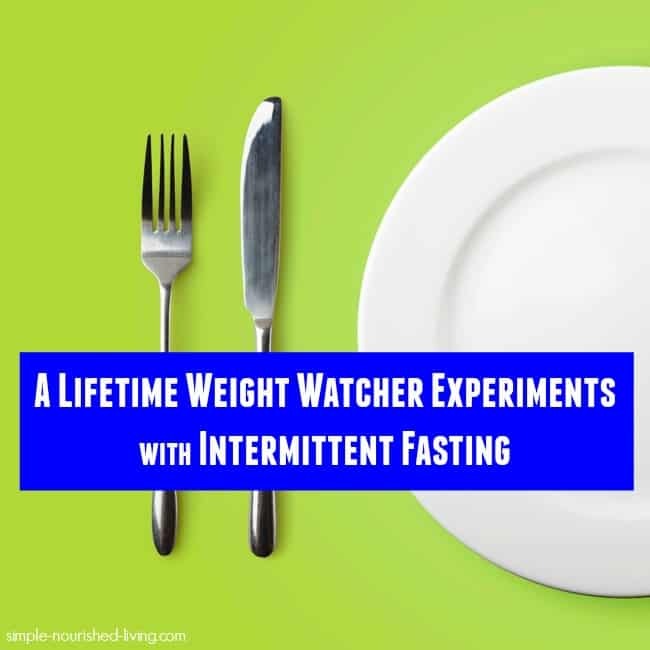 There are several types of intermittent fasting to choose from, so I recommend experimenting to see what style works best for you. Q: Isn’t it unhealthy to skip breakfast? No. The problem is that most stereotypical breakfast skippers have unhealthy lifestyles. If you make sure to eat healthy food for the rest of the day then it is fine. Q: Will fasting slow down my metabolism? No. Studies show that short-term fasts actually boost metabolism. However, longer fasts (3 days or more) can suppress metabolism. Q: Can I drink liquids during the fast? Yes. Water, coffee, tea and (without added sugar) and other non-caloric beverages are fine. 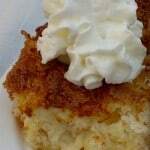 I sometimes add a tiny bit of cream or coconut milk to my coffee, which seems to take away my hunger. Q: Is the fasting something that will work if I am counting SmartPoints? I can’t answer this because it is not something that I have personally tried. 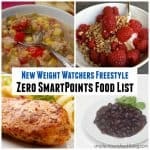 I am a Lifetime Weight Watcher at goal and not actively tracking SmartPoints. Q: Do you do this every day? No. I do this just a few times a week. Q: I did see where there are different fasting programs… Some for 16 hours, others for 24. What is it that you are doing? My first experiments were with a mild form of intermittent fasting was doing away with in-between meal snacks and basically just eating breakfast, lunch and dinner. It’s a concept I learned from studying the way the French eat. From there I began experimenting with intermittent fasting, following the Eat Stop Eat approach to not eat for a period of 20-24 hours once a week. I usually do this by skipping breakfast and lunch on Mondays. I’ve also experimented with shorter fasts of 12-16 hours where I skip breakfast a few times a week and then have a late lunch and dinner. I believe the key to success is to eat reasonably/not excessively when you are not fasting. I’m not advocating Intermittent Fasting, just sharing what I’m discovering. At the end of the day, there is no one-size-fits-all solution for weight loss. The best diet for you is the one you can stick to in the long run! Disclaimer: I’m not a doctor. I’m just a regular person passionate about improving my health and wellness one bite at a time and sharing what I discover. The information found here is based on my personal experiences and interpretation of what I read. It is not medical advice. If you have any health issues or concerns please consult with your physician. Make sure you always consult with your doctor before you do any sort of fasting. This is interesting. I think I will try it. I am a little nervous about it though because I am a binge eater. I will have to really keep control of the eating times . Which I guess leads me to a question. 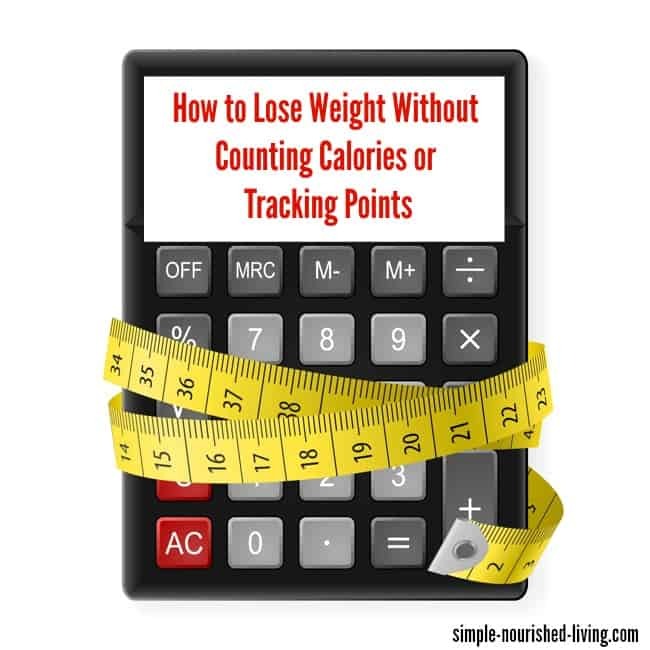 So are you still tracking or counting calories when you do eat your meals? I would think we would have to . Hi Victoria, Everyone is different but I don’t count/track when applying Intermittent Fasting. I am a Lifetime WW at goal in maintenance phase so I’m not actively trying to lose weight, just maintain. Hope this helps! I am so happy you mentioned the 5-2 approach. I feel that this program laid the foundation for fasting for health reasons. I continue to go to WW meetings as a lifetime member but LOVE not having to count points daily! Hi Deb, I totally agree! 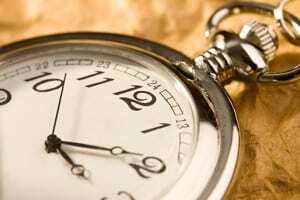 The more I read about and apply intermittent fasting to my life the bigger fan I become. Like you, I still check in monthly at my WW meeting as a Lifetime member, but this works better for me at my age and stage of life. I also love that there are so many different approaches to IF! Do you workout when you fast? I don’t like to eat before a workout but waiting several hours after a workout might be difficult. I plan to purchase the book. Hi Pat, Yes, but I basically never work out very vigorously. My go-to forms of exercise are walking and gentle yoga. Hope this helps. Learning not to be afraid of hunger is the big win for me. I almost look forward to it because I know the result will be some weight loss. I also enjoy dinner so much more, because I had to wait for it (I’m doing dinner to dinner, about 23 hour fast twice a week). Quite honestly, my husband doesn’t even know I’m doing this because it doesn’t interfere with our dinners together (or weekend fun either). I’m choosing weekdays, when I’m at work and busy. It’s kind of like using a muscle, it actually strengthens my resolve (and will power if you will). I also find that I need less to eat at the meals I choose to eat. 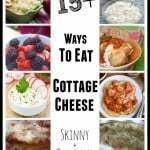 I think that the best thing I learned from this is that it is entirely voluntary (unlike starvation) and you certainly can eat something if you want to. That too makes it more doable in my opinion. Just FYI I read about this “strategy” here and jumped on board the next day! No regrets and only positive things to say. Thanks so much for sharing your experience with us. At first Intermittent Fasting sounded so radical to me. But, now the more that I read and experiment, the more excited I become. 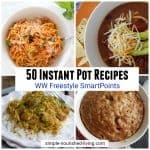 I love how you are able to make this work in a way that doesn’t interfere with weekly dinners or weekend fun. I agree that learning not to be afraid of hunger has been a big win for me. I realize I used to eat because I was afraid of getting hunger sometime later when food wouldn’t be available. Like you, I feel much stronger in my sense of control. It’s about self-discipline, and self-restraint and is so much more achievable because I know it’s just for a limited time! I’m so happy to learn that this is working for you too!! I am currently doing WW. I love the program and I’m having success for the most part, but I’ve struggled recently. I like high-volume meals. I also like the occasional indulgence, and some of the items I like can be 1/3 to 1/2 my SP for the day. They may not be high in calories, but the saturated fat and sugar kills it. I appreciate all of the info you’ve shared. I think I’m going to experiment with combining IF and WW – maybe figuring out my weekly points instead of daily and customizing as I figure out what needs to be tweaked. I like the structure of WW, but not the constant, daily restriction. I’ve really come to understand that when it comes to sustainable healthy weight loss there’s no one-size-fits-all approach. The most successful people create their own “perfect recipe” mixing and matching what works from various approaches and programs. Best of luck! I having being doing 5:2 intermittent fasting for weeks and lost 14lb. I am severely anemic due to severe heavy bleeding ,(taking prescription medication ;120 MG per day for 3 weeks per month and 1 week 240 MG per day ).Medication causes over eating ;ie chinese eat what you want and still hungry ,1 hour later. To prevent over eating .I20mg iron morning ,plus 1.5 tablespoon of flax meal mixed with 100ml of soya chocolate milk to prevent constipation ( this is prepared the night before as flax meal swell). I take med and drink flax before going to gym for 8.30 am and interval hill run; treadmill at 6% gradiant for 20 minutes or core using weight machine and mat work. I drink at leaSt 2L of fluids per day,speed walking to train station,4x per week ; 1 mile and speed walking, 30 min to private home including both fast days.These days I teach special needs part time. I think the combination of high iron medication, flax meal,interval training and 5: 2 fasting is enabling me to loose weight and tone up. Most difficult part is planning meal However,fast days ,I have a frozen ww meal,flax meal,a banana; frozen or fresh banana and calculate calories for milk averaging 650 calories due to calories usage for flax and soya milk . Hi Martha. I’m a type 2 diabetic and saw the intermittent fasting information you have on your blog. Was wondering if there have been successes from doing this. Thanks. Hi Martha! I read your email about Eat Stop Eat and decided to give it a try. I bout the book and I just finished my first fast day and was surprised at how easy I was able to do this. Thank you for this information. 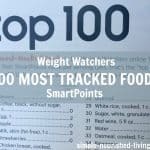 I too am a lifetime WW member but lately finding it so hard to want to track my foods. I have about 37 lbs to lose to be at my lifetime goal. I am starting out slow with just 1 day a week to see if I can do this. I would love to hear more about your experiences with IF. Thanks so much!! Hi Cheryl, It took me a long time to open up to the idea of Intermittent fasting. Just the word “fast” made me nervous. I had a huge fear of hunger. Then after reading Eat Stop Eat I finally I finally decided to “play” and “experiment” with it. Like you I was surprised at how easy it was. The biggest surprise was that my hunger wasn’t fatal! I also love that the more I practice Intermittent Fasting the more satisfied I am with smaller portions!